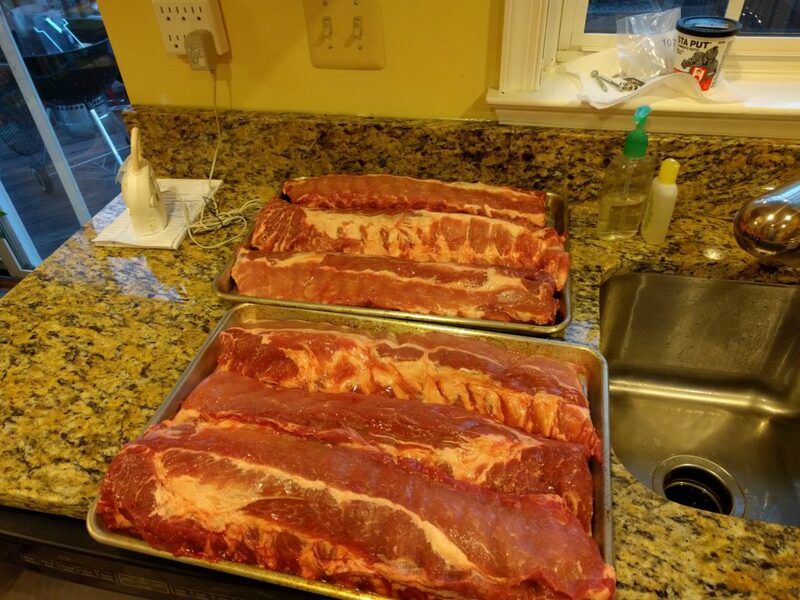 I was already a pro with Meathead’s recipe for baby back ribs, having done it about 3 or 4 times now. 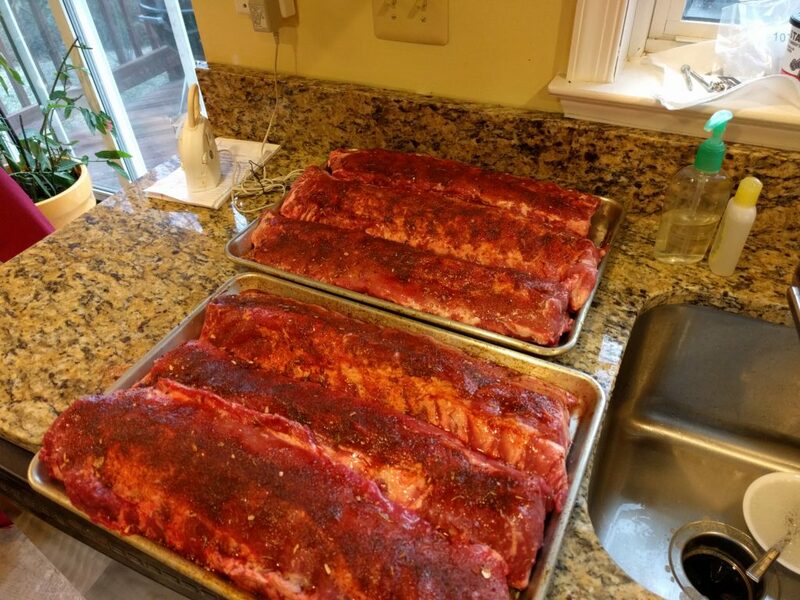 But it was my first time using both the gas and charcoal grill to make 6 racks at once. 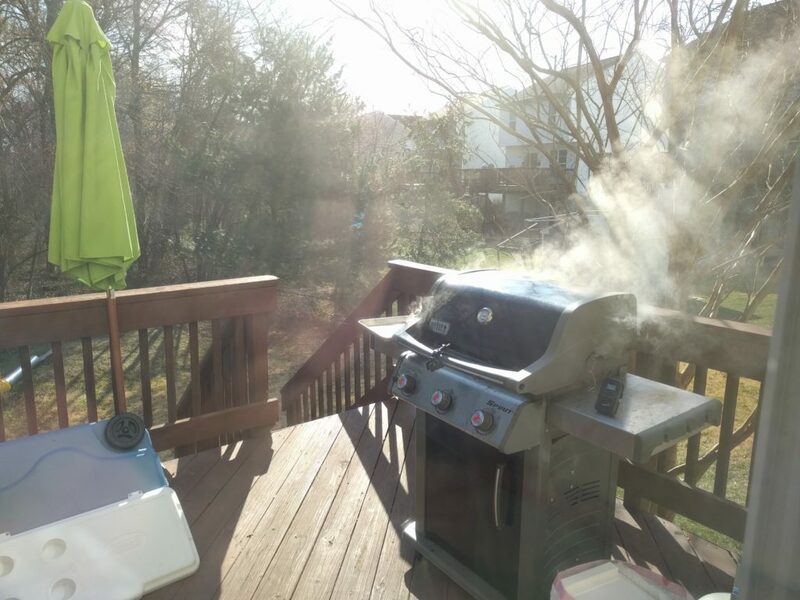 I offered people the option of less smokey taste and more smokey taste. On the charcoal grill I used what I’d learned with the pulled pork to do a snake method with the charcoal. I wanted to offer an option for anyone who couldn’t eat pork. So I offered Simon and Garfunkel Chicken and one guy took me up. He got 4 thighs. 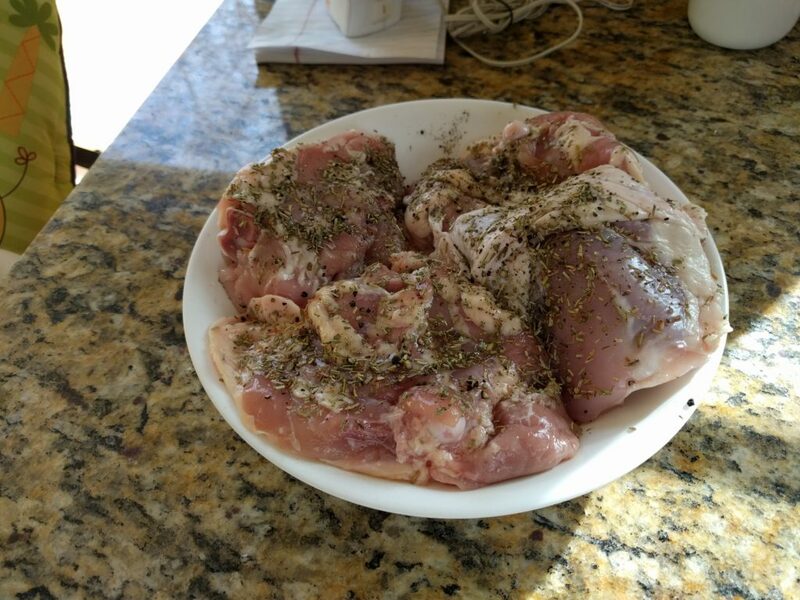 And he loved it because he loves the herbs used in the rub. 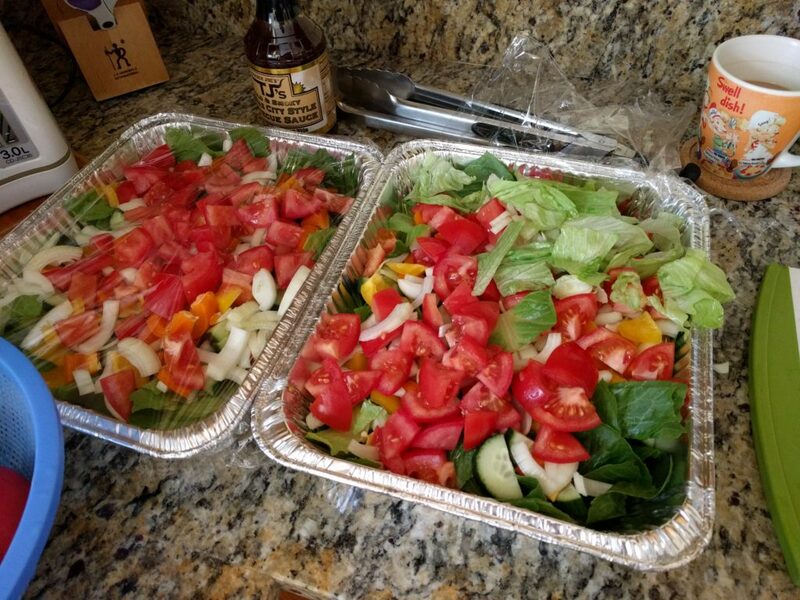 Salad – tomatoes, lettuce (romaine and iceberg), cucumbers, onions, and bell peppers. 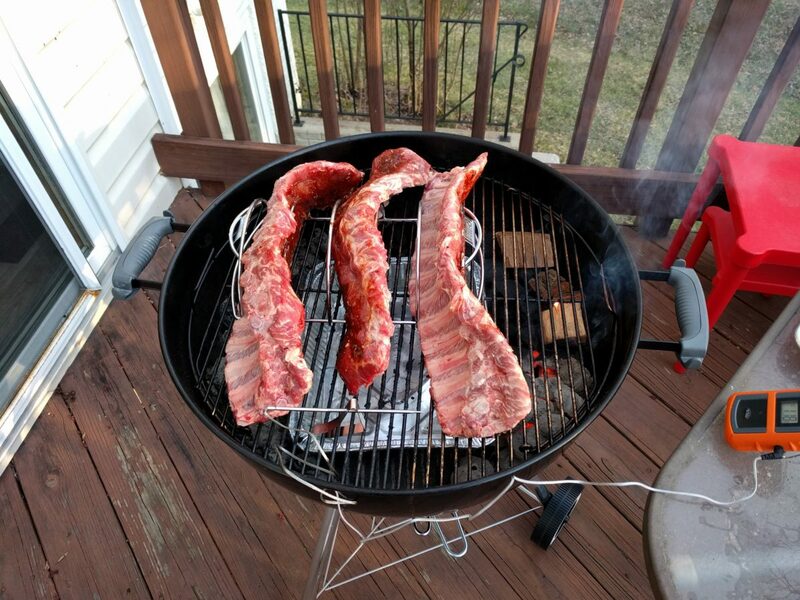 After about 3 hours the ribs were ready (a process that began at 0600 with lighting the coals) and I sauced them so I could carmelize the sauce on the BBQ. 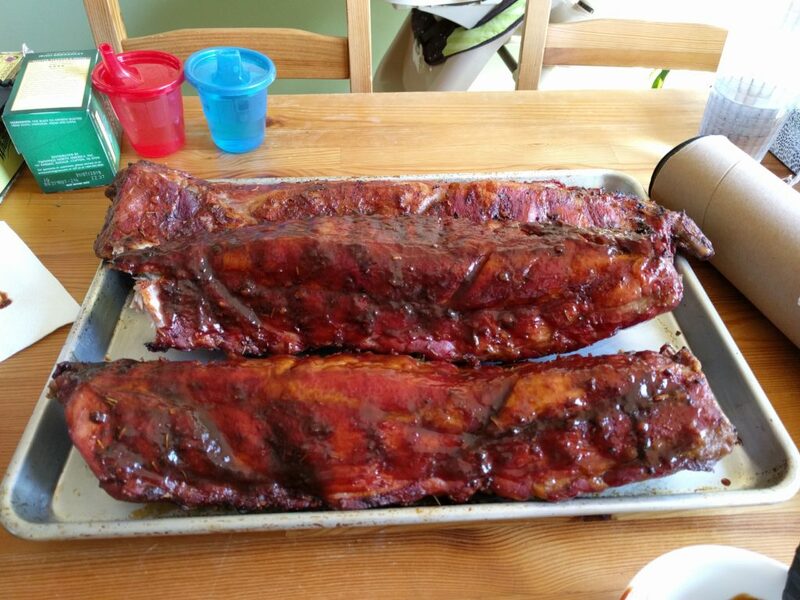 It’s easiest to ramp up the temp on the gas grill, so they were all carmelized on the Spirit. 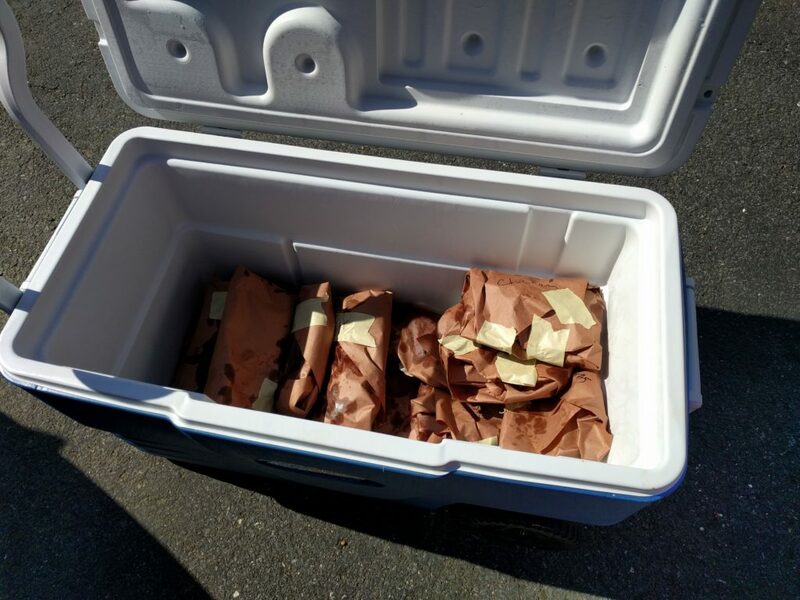 Then it was time to roll it in pink butcher paper and put it in the cooler to keep it warm until I got to work. It was a big success. 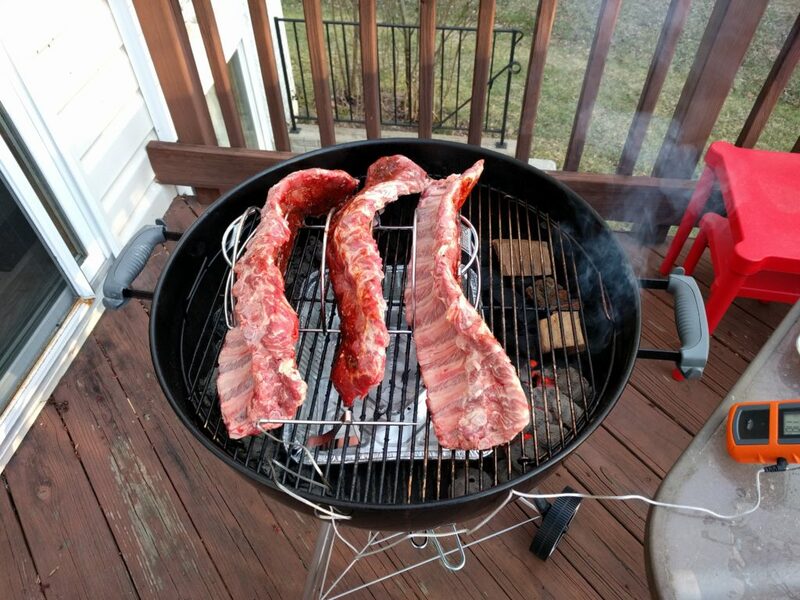 Someone said it was the best baby back ribs they’d ever had. Others didn’t go that far, but enjoyed it it well enough. 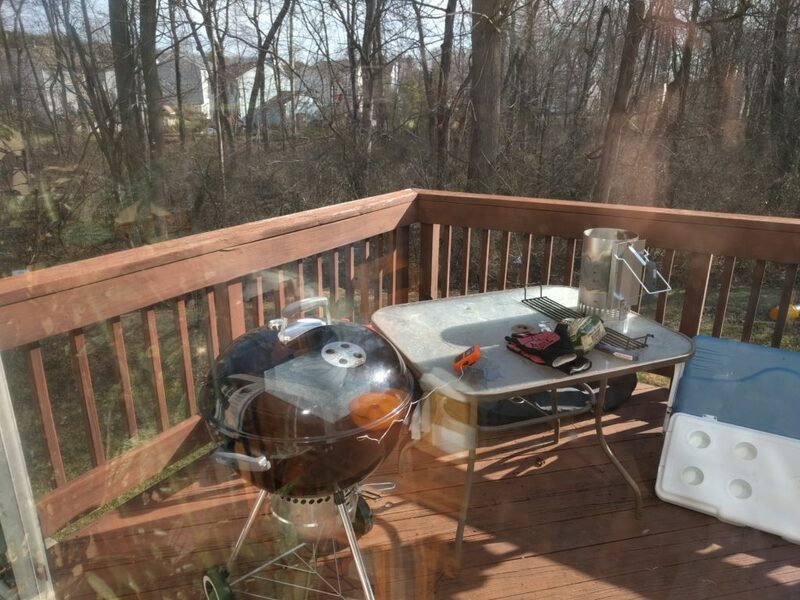 The question is – what do I make next time?